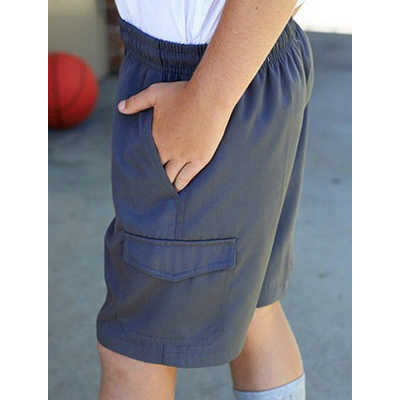 Kids School Cargo Shorts. Sizes: #4-16. Fabric: Poly/ Rayon. Gsm: 225.